If you've just hopped over from Jamie's blog then you're on the right track! 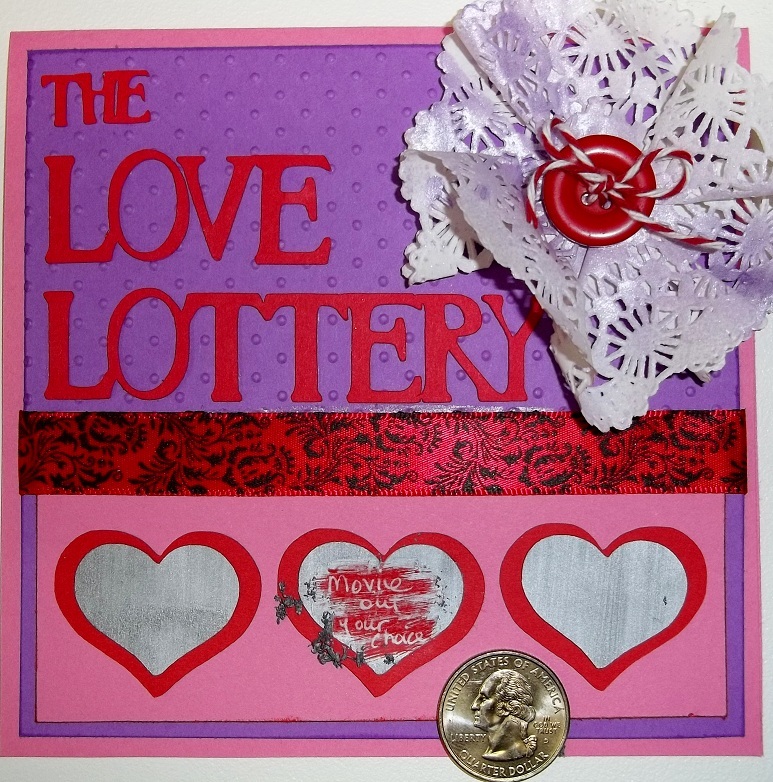 I made a scratch-off Valentine card for my sweetie! Now, the technique I used might be old hat to some of you, but I never knew this could be done at home!!! I was reading the February issue of Better Homes and Gardens, and they had a recipe to make the actual stuff that you scratch off of cards (like lottery scratch tickets or game pieces.) I was so excited, that I just had to try it...and it works!! 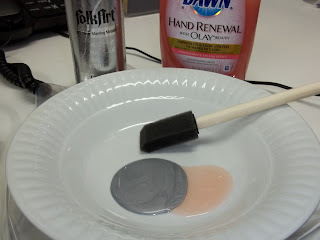 I mixed 2 parts silver acrylic metallic paint to 1 part dish washing soap. I don't think it has to be any particular kind of soap. I just used what I had on hand. Using a flat brush, I painted it onto acetate. I tried it on an old Cricut cartridge box here, but I ended up using some acetate sheets a scrappy friend gave me (thanks Rexann!) The magazine actually said to use clear Contact paper, and that probably would have been WAY easier, but I didn't have any, and used what I had here instead. The magazine suggested three thin layers of paint, but I was finding that there was still streaking after three layers, so I ended up doing five. Let dry (or CAREFULLY use a heat gun, but don't melt your plastic!) in between each layer. 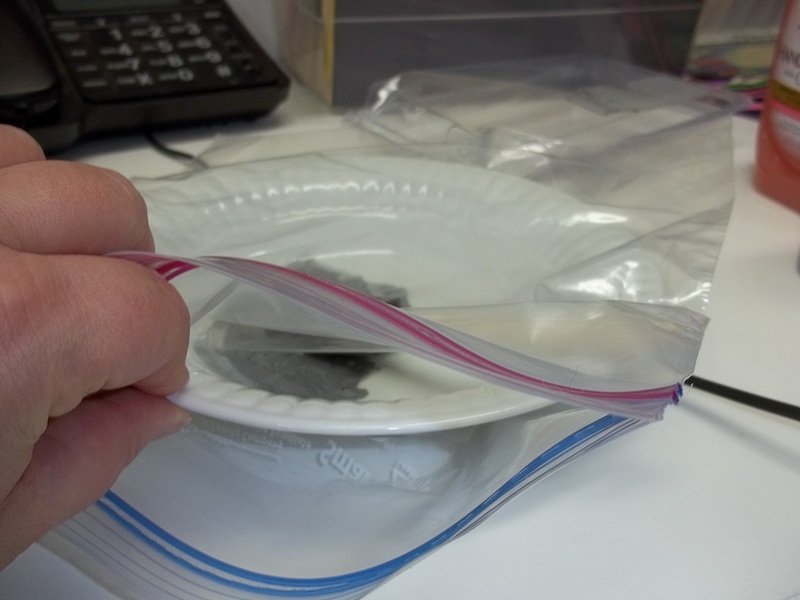 While the paint was drying, I sealed my bowl of paint mixture in a Ziploc bag so it wouldn't dry out. Once my silver acetate was completely done and dry, I was actually able to run it through my Cricut to cut the hearts!! I thought the paint would scratch off in the machine, but it worked perfectly! I cut the silver hearts at 1 inch from George and Basic Shapes, then I cut the red hearts at 1 1/4 inches. At this point, you want to write or print what ever you want on the red hearts. I wrote down 3 choices for how to spend Valentine's evening. The recipient gets to choose which heart to scratch off, and that's what we get to do! You can write anything you want that will work for you. I was thinking about writing I LOVE YOU...one word behind each heart, and then the recipient scratches off the heart to reveal the secret message. Anyway, whatever you want to write is up to you...the possibilities are endless! 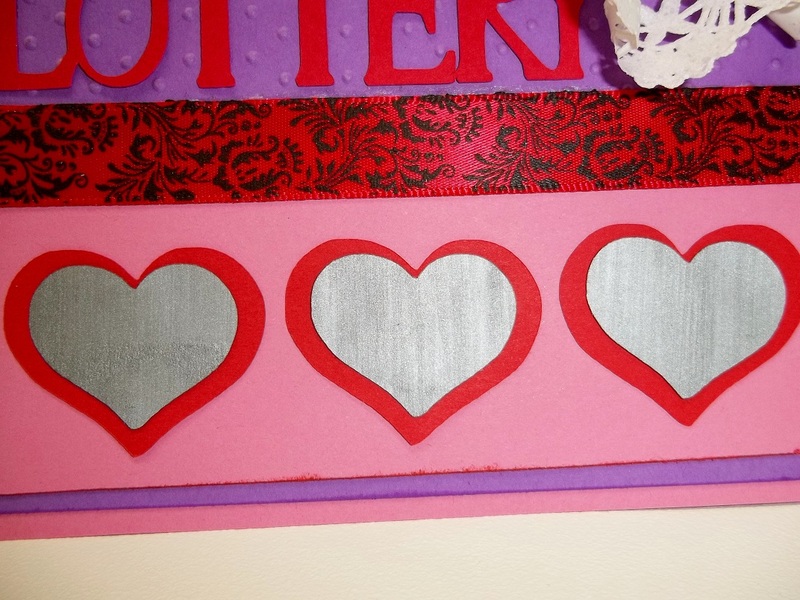 After writing on the red hearts, I used vellum adhesive to tape the silver heart on top of the red heart, thus hiding my message. MAKE SURE you leave the side with the paint up, so that you can scratch it off!! Now this is really where the Contact paper would have come in handy...the adhesive is already on the plastic...just peel the paper off the back. Here's what it looks like scratched off! I hope you liked my tutorial! Thank you again for checking out my project! Now it's on to Lisa's Blog Have a great weekend! FANTASTIC Idea!! I have some 1"round scratch offs I use for soy candles business. 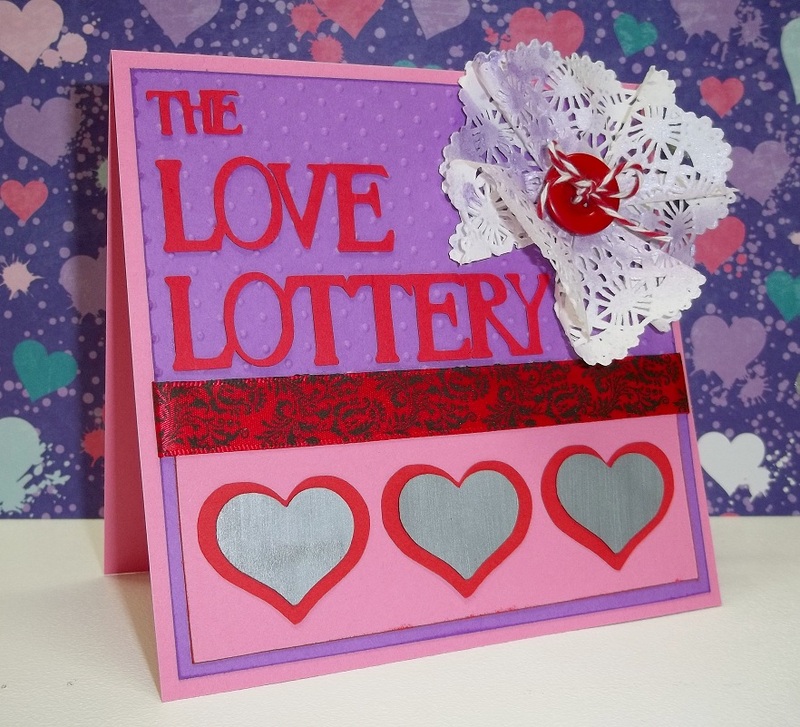 This takes cardmaking up a notch! ANother fun technique to make a unique card!! I'm happy that your first attempt was a success considering you had to change things up a bit. Congratulations! yet another crafting idea pops in the heads of crafters. your card is AMAZING. love the tut also. Darling card, great paper choices and love the button and doily at the top. I'm definitely trying this scratch-off technique. I have some self-adhesive laminating sheets that I think will work, but I'm going to pick up some clear Contact paper when I buy the paint. Just to change it up a bit, I might try a different paint color. Thanks for sharing! So, ....if you hear some scratching noises tonight, you'll know why! It's your fault!! Thanks for such a nice contribution to the hop, giving it a try! Thanks for the tutorial. What kid or adult wouldn't love finding the hidden message. I definitely need to try this. Your scratch off card is so cool! I love it! Thanks for posting the tutorial along with it. I had no idea how to make a scratch off until I just read your post. You did a really nice job with the card. I have never seen this idea before and love it!! So glad to have helped you out with your Project supply's! :) Very cute and is that a paper Dollie? Thanks so much for sharing you project and technique!! 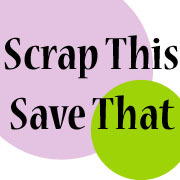 Are you going the the national scrapbooking party at becky's house in may? See you soon!! What a great idea thanks for th tutorial will have to remeber this on. Great card design very cute! Amy, I just saw this tutorial in that magazine too and I wondered how it would turn out -- Well, yours is FANTASTIC!! I will certainly apply your "tips" when I try it out for myself -- I've ALWAYS wanted to do a scratch off card, and I LOVE the Love Lottery idea!! SO CUTE!! Sorry to hear of your blog issues. I am trying to catch up with all my followers & commentators. 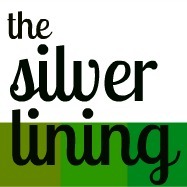 I finally made it to your blog. So glad too. You have been quite busy while I was away, caring for my mom in Florida. I did set up pre-posts to keep my blog going but was not able to access a computer to visit with my followers and make comments. Your technique is fantastic! Thanks for sharing that. I am off to see more of your gems. Card is Creative and colors are also very nice, design of card is simple but good. Wow, that is really awesome! I'll have to try that. Such a cool make, Amy! Love the tute - thx! 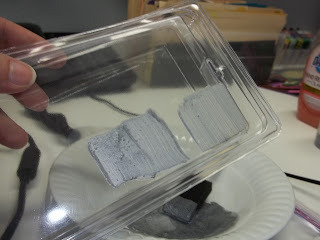 I think i never see this cool idea of scrached... thanks for sharing the tutorial.